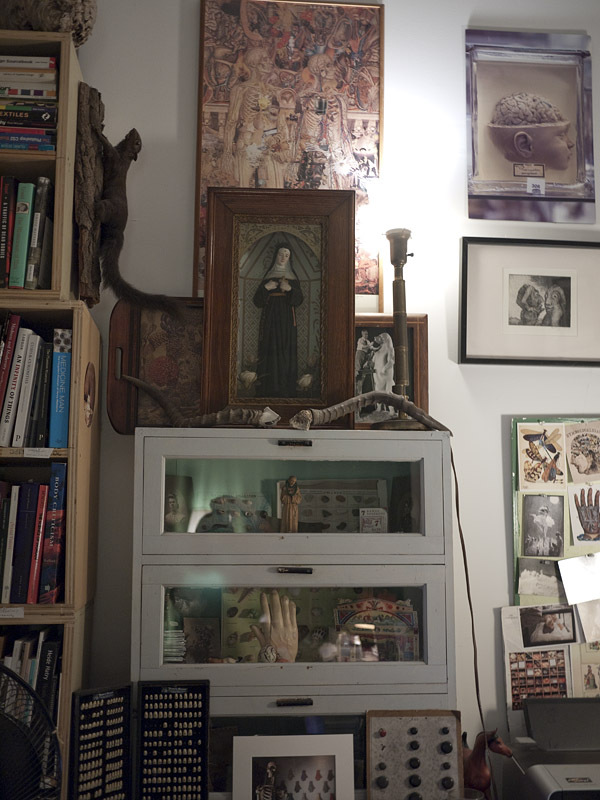 This Saturday, October 2, please join the Morbid Anatomy Library (as seen above) and sister space Observatory as we open our spaces to the public as part of the 14th annual Gowanus Artists Studio Tour, or "A.G.A.S.T." There will be snacks, beverages, art, artifacts, and, of course, books. For more about the Morbid Anatomy Library, click here. You can find out more information about A.G.A.S.T., and get a full list of participants, by clicking here. You can find out more about Observatory and the exhibition now on view by clicking here.